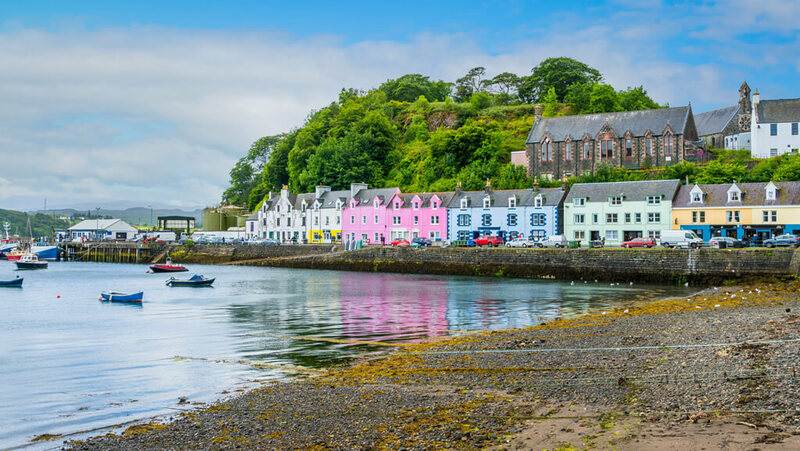 For breath-taking beauty and splendour there are few locations which can equal the Isle of Skye – stunning coasts, rugged mountains, rich culture and history, diverse wildlife, all combining to make this unique island THE holiday destination. Air an Oir is located at a secluded coastal location at Portree, the main town on the island which is situated around a sheltered harbour at the south end of the Trotternish Ridge. It is a popular base and centrally located to enable you to easily explore all parts of the island. Portree has a nice mix of shops and restaurants easily reached by walking (20mins) or by car (3 mins). It is the main fishing port in the north west of the island and fishing boats landing their catch can usually be seen around 9pm each evening. 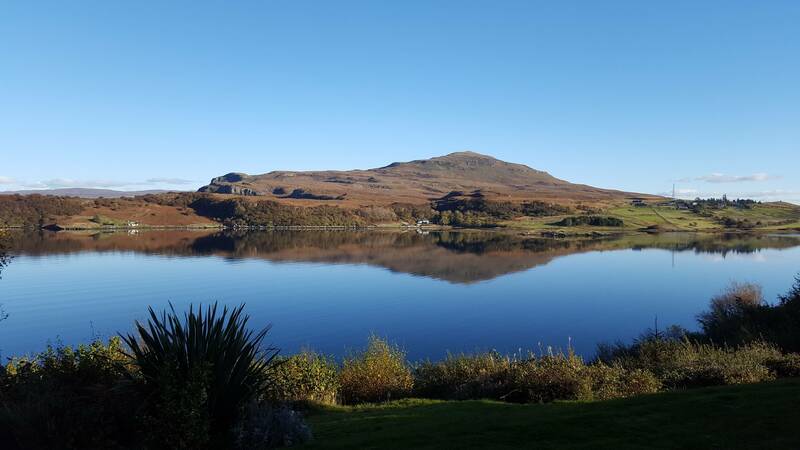 The bountiful seas around the island ensure that the best quality sea food can be served in restaurants such as Scorrybreac, Cuchullin & Seabreezes, and Dulse & Brose in Portree, as well as other establishments around the island. 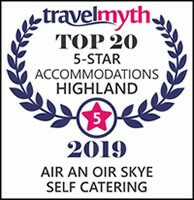 The Three Chimneys, Lochbay and Kinloch Lodge, all acclaimed restaurants are within an hour’s drive. A welcome recent addition is the Isle of Skye Distiller’s new shop and gin school. Daily boat trips from which you can view sea eagles and other wildlife including whales and dolphins are available at the pier and minibus and taxi tours are available from a number of operators. The Storr is probably one of the most photographed landscapes in the UK. The ‘Old Man’ is a pinnacle of rock that dominates the skyline as you near Portree from the south and as you head north to Trotternish. It is a 15 minute drive from Air an Oir. Also part of the Trotternish Ridge, the Quiraing is a spectacular landscape used as the backdrop to umpteen adverts and in several feature films such as Stardust, Transformers, The BFG and MacBeth. It is about 35 minutes from Air an Oir. The Fairy Pools are crystal clear, blue tinged pools with some small waterfalls in the River Brittle at the base of the Cuillin mountains. There is a good path from the main road but in summer times the car park can become congested so an early start is advised. 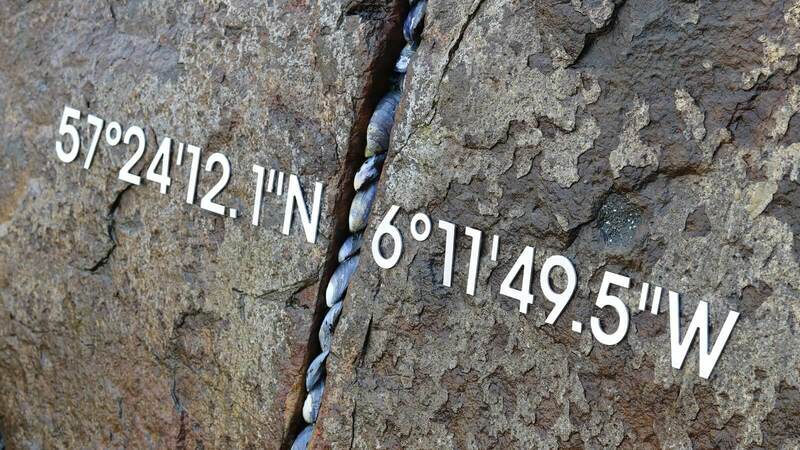 Neist is the most westerly point on the Isle of Skye. There are stunning sea cliffs and a lighthouse which was built in 1909 by the famous engineer David Stevenson. The views across the Minch to the Western Isles are divine, particularly in the evenings before sunset. 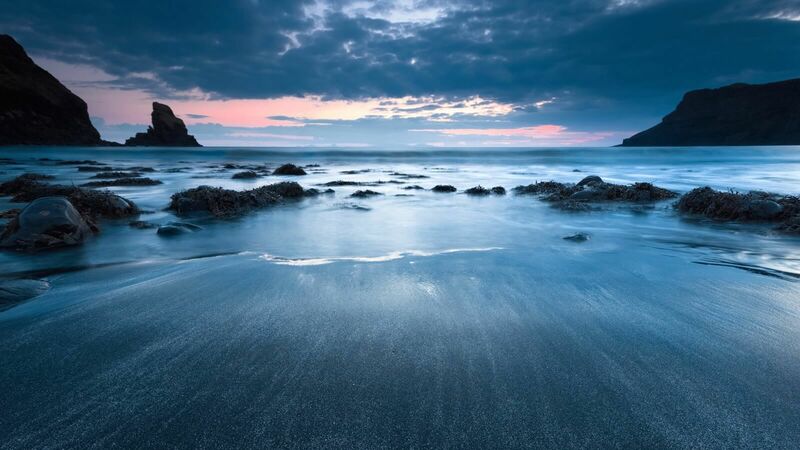 The Isle of Skye and the Highlands and Islands enjoy some of the darkest skies in Europe. There is little or no light pollution out-with the main population centres and the island is becoming increasingly popular for those who wish to view the heavens. 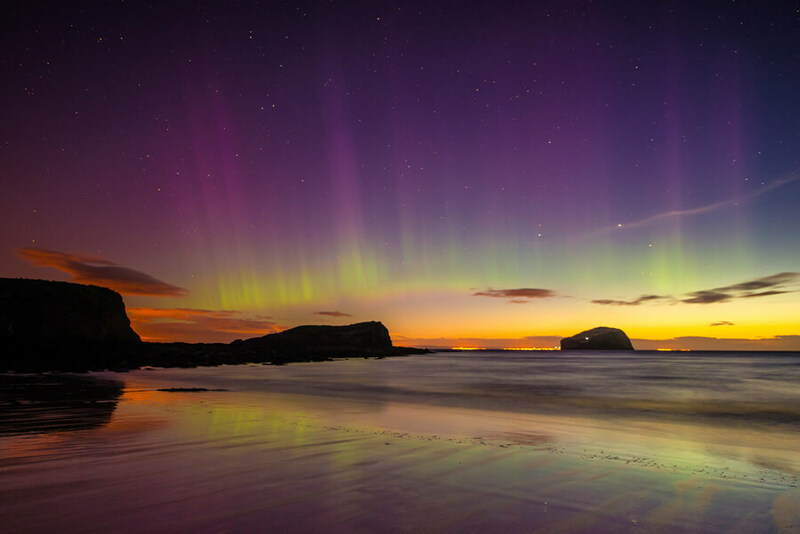 The northern lights are frequently seen from the island and an app to help you see them is now available from Glendale Skye Auroras. Sometimes they can be seen with the naked eye but other times only using slow exposure cameras. Further information is available at Dark Skye.